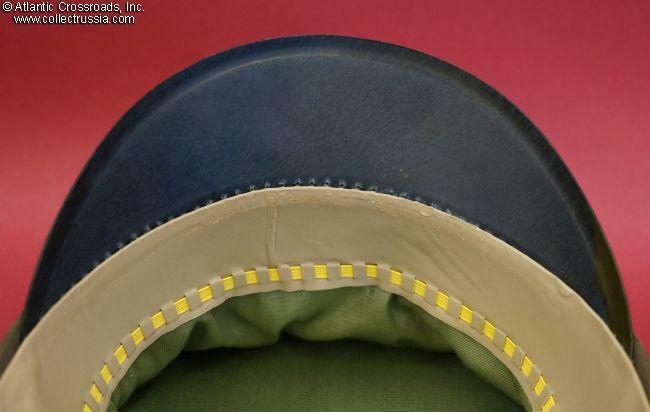 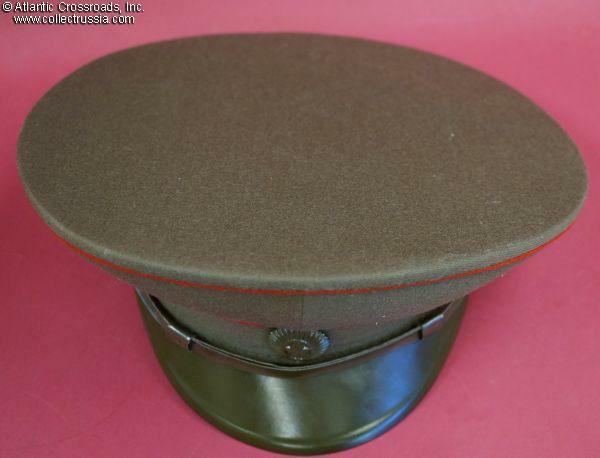 Army (Land Forces) general field visor hat, dated 1980. 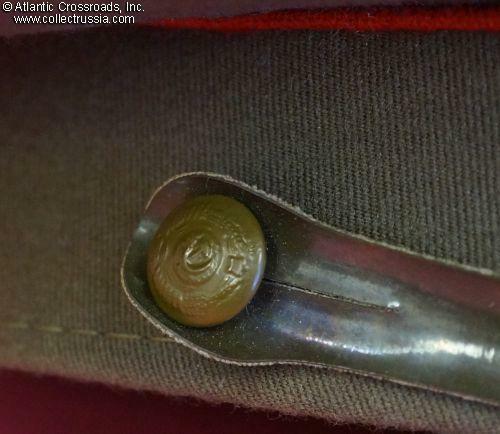 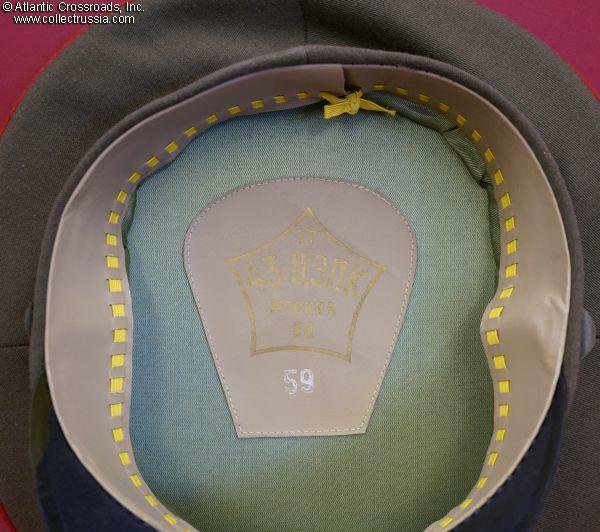 In olive drab wool gabardine with red piping and subdued hat badge; silk liner. 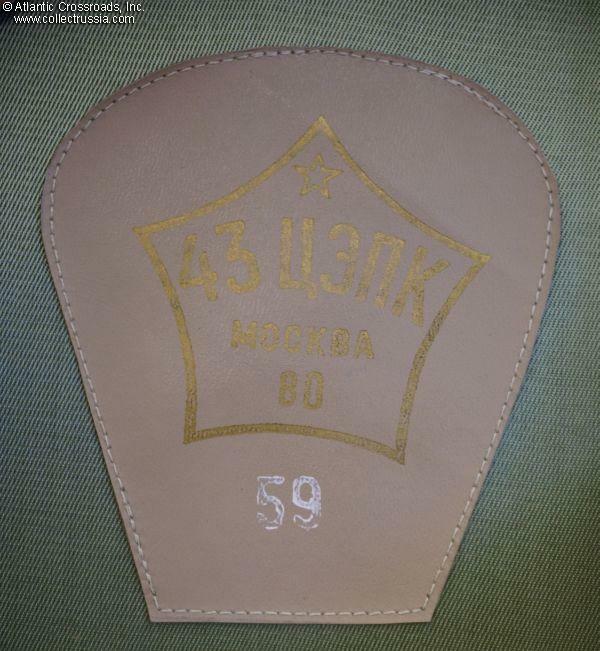 Moscow "43 TsEPK" factory sweat shield. 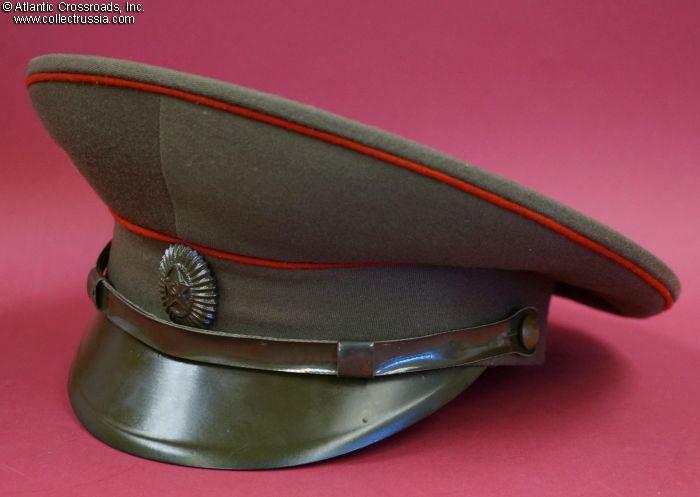 Large size: 59 (US 7 3/8); please note that the hat shrank about a size as is common for headgear of this vintage, but will probably will assume its original size with some stretching. 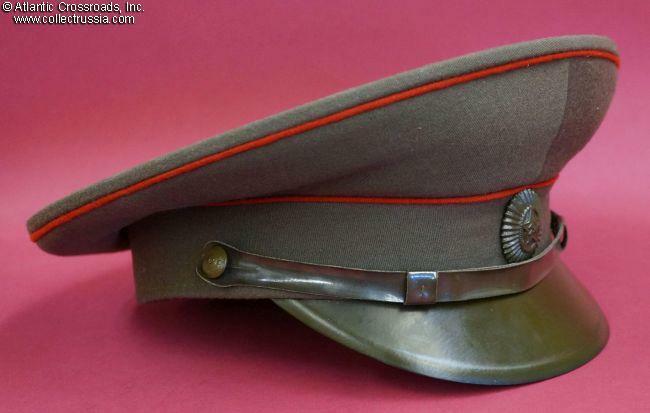 In outstanding, excellent condition; very clean and crisp. 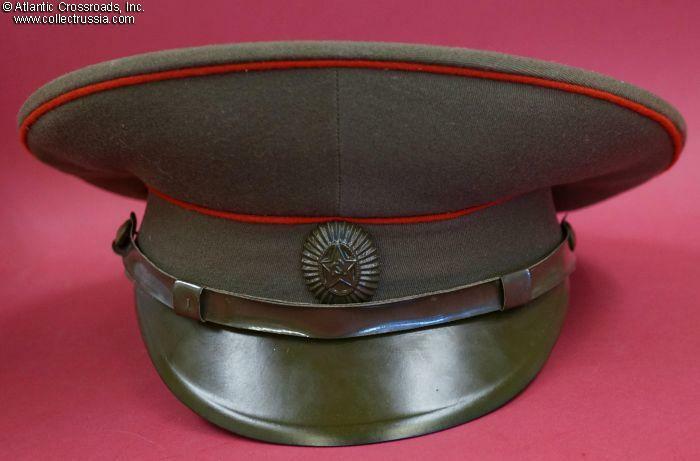 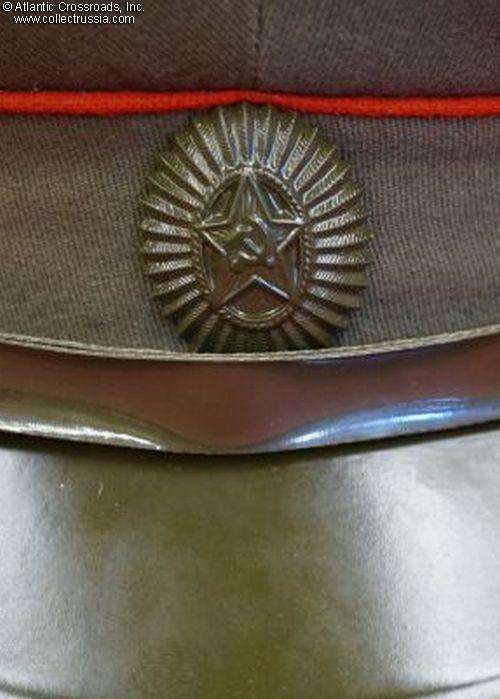 A classic Soviet hat of the Afghan War era.